Happy Friday! We didn't get dumped on with snow this week- finally! It has me thinking Spring and beyond ready for warm weather and cute clothes. Check out what I've got my eye on- and things that already made their way to my closet. Express Choker Tank-I have loved their tanks for years and this one is super cute and looks nice and lightweight. I wish it was available in more colors- but I guess you can't go wrong with pink. A New Day Fitted Scoop Neck Tee- Pamela shared this one when it was on sale last week and I picked up a few for only $5 each. The normal price is only $8- still a steal...I'm totally getting a few more! BP Mirrored Sunglasses- I'm all about inexpensive sunglasses these days, I drop them and break them way too often to always wear pricey ones. BP always has awesome options- I'm in love with this pair. Gibson x Living In Yellow Felicity Tee- Comfy tees are great basics for layering and I'm adding this one to my rotation. I mentioned Erin a few weeks ago- this is her line...super cute and great prices too! Marc Fisher Wedges- I love wedges and these have the cutest delicate details. I love them in all the colors, but especially the pink...so perfect for Spring. 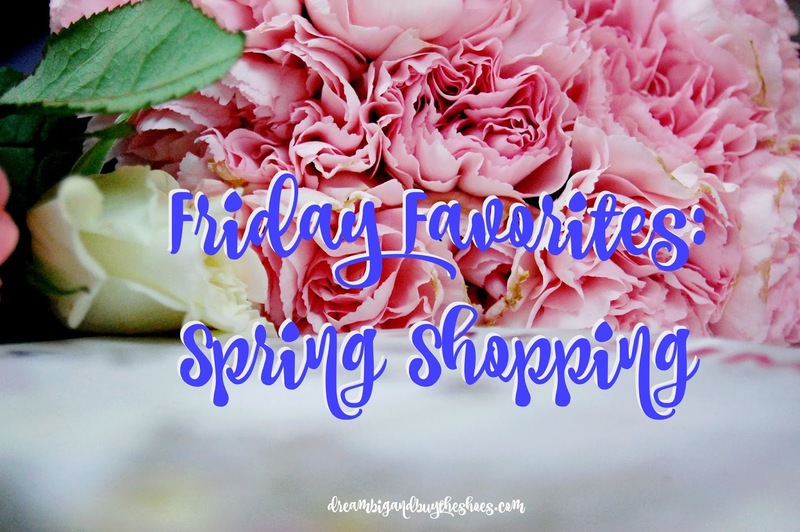 What have you picked up for Spring lately?! There's been so many great sales it's hard not to shop! Hope you all have a great weekend!